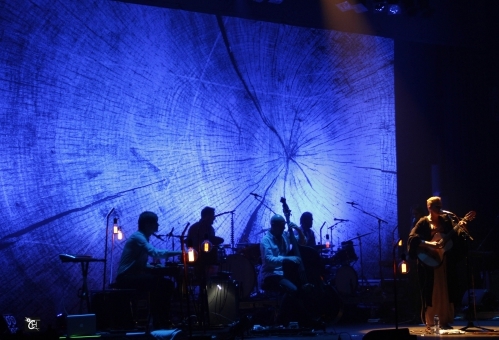 I was lucky enough to hear about Ane Brun a little bit before she came to Brussels. Fair is to say I fell under the spell of her magic and unique voice the first time I heard one of her songs. I all starts somewhere and for me, it started with "to let myself go". 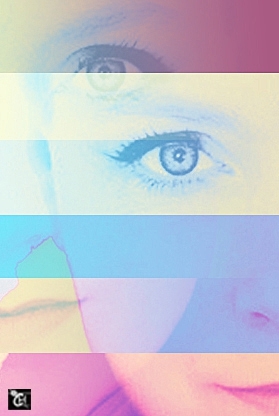 What's so special and charming about Ane Brun then ? Well, her delicate and yet powerful voice, her lovely accent, the way she makes you shake or melt, the way she sings, the originality of her musical compositions, the way she moves during the gig... EVERYTHING is just amazing ! Brett Spaceman from http://www.sicmagazine.net/ was with me on that night and he had never heard a single song before. It was a total discovey for him and he was kind enough to issue a small gig review for your eyes only. Enjoy ! What am I doing here? This is not my scene. A singer-songwriter? More than that a borderline mainstream, Grammy Awards type singer songwriter. This is not my kind of music. I’m a post punker Black clad indie rockers are more likely to grab my interest whether they be from 1979 or the present day. In fact the ones I favour from the present day sound like they’re from 1979. Even this place, the Cirque Royale, you can see for goodness sake and the floor isn’t even sticky. This isn’t a gig venue. It’s an art gallery. I don’t think tonight was a gig though. Tonight was a concert, an important distinction Ane Brun, is a Norwegian singer/songwriter based now in Stockholm. She is also a major talent and tonight she put on a show for Brussels. Not a ‘show’ in the sense of jokey banter or gimmicky stage props. The girl is neither Greg Dulli, nor Prince. She is, quite simply, a voice – a wonderful, singing voice loaded with personality and story. Around this beautiful instrument Ana Brun managed to craft ten years worth of songs. You see, hers the kind of vocal which allows for a certain type of songwriting. Brun’s range and versatility helps, plus, I suppose, the confidence it gives. Only Ane’s speaking voice betrays her Nordic origins. In song, she affects a country and western quiver so accurately that I thought I was watching The Porter Wagoner Show. Brun is incredible tonight. She floats onto stage – her own, distinctive fashion sense coming up with voluminous pantaloons and a glittery shawl. She owns each and every song performed, even the ones she didn’t write herself. Brun is master (mistress?) of interpretation, of nuance and possibilities. And she owned the audience too, every fluffy, grinning one of us. In spite of what I said at the start I do enjoy listening to artists in the Cirque Royal. The acoustics are the best in the city, I think, because of the shape and construct of the place, but also because the artists that they put on aren’t the ones hiding behind a wall of guitar effects. You can hear each instrument in Cirque Royale, and all the little detail. It’s amazing what you can achieve when you DON’T turn every band member up to eleventy stupid. It’s a certain venue for a certain artist. Tonight’s set was to be a kind of ‘greatest hits’ but Brun had difficulties choosing. Not difficult to see why. An initial band meeting saw a list of forty whittled down to a shortlist of....erm, thirty! “We had to throw out some more of our babies” she delighted in telling us. It seems like a very nice problem to have. I mean, my brain can’t quite cope with the thought of forty songs of this calibre. I actually knew the sum total of none of them before coming tonight. Mine was an off-chance invite - a word of mouth recommendation from a trusted source (my wife) but I knew very little about this artist. Apparently Brun has sung with Sivert Høyem (Madrugada) How did I not know that? She has covered a Kent song. How did I not know that? This evening became one of those ‘no expectations’ treats, another musical discovery but not a record, a whole concert of Ane Brun. ..Plus her band, let us not forget, all excellent musicians in their own right. I mean - two drummers! What’s not to like? Maybe Ane Brun passed you by as well? You want some reference points? Who is she like? She’s like nobody else. Nobody. Think Kate Bush, Tori Amos, Liz Frazer, Nathalie Merchant..... Who were they like? Nobody. And Brun is no exception except that she is exceptional too. Her persona may be less ‘Earth Mother’ than Kate, and her songs less troubled, more routed in ‘love and loss’ normality than Merchant, yet Brun still manages to stay baffling and borderline eccentric. Ane Brun is Ane Brun. This voice is Ane Brun. She seemed reluctant to leave at the end. Ane Brun (born Ane Brunvoll) is a Norwegian songwriter, guitarist and vocalist living in Sweden. In 2005 Ane Brun was inspired to ask some artists whom she adored to sing with her on a full album called Duets. The collaboration with the band Madrugada on the single "Lift Me" gained her another Norwegian Grammy award. Ane Brun featured as one of the guests on Peter Gabriel’s 2011 studio album New Blood, singing with him on the 2010 re-recorded version of “Don’t Give Up”. She was subsequently invited to perform with him as support act and back-up singer on the New Blood tour throughout 2010. In 2010, her song This Voice was used in the beginning credits of the thriller “Inside” (From Within) directed by Phedon Papamichael. In October 2012, she issued a cover of a Depeche Mode song “Fly on the Windscreen”, co-produced with Vince Clarke (Yazoo, Erasure) who took part in the band.